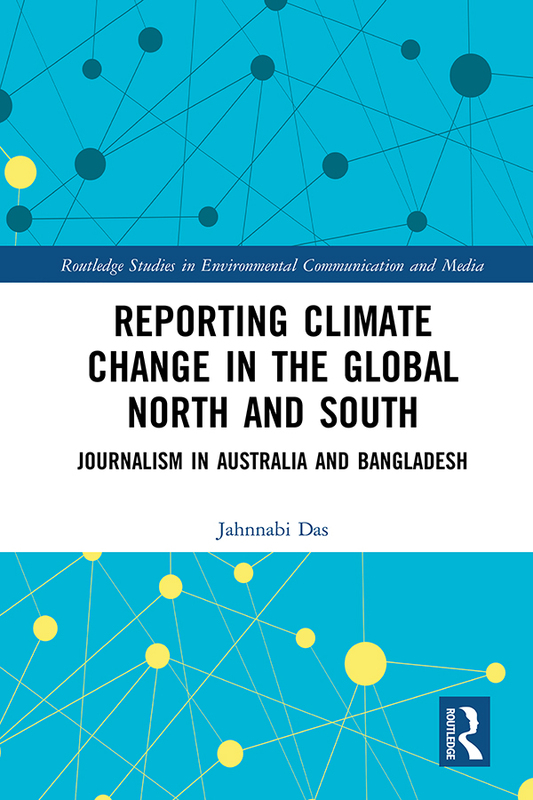 This book reveals how journalists in the Global North and Global South mediate climate change by examining journalism and reporting in Australia and Bangladesh. This dual analysis presents a unique opportunity to examine the impacts of media and communication in two contrasting countries (in terms of economy, income and population size) which both face serious climate change challenges. In reporting on these challenges, journalism as a political, institutional, and cultural practice has a significant role to play. It is influential in building public knowledge and contributes to knowledge production and dialogue, however, the question of who gets to speak and who doesn’t, is a significant determinant of journalists’ capacity to establish authority and assign cultural meaning to realities. By measuring the visibility from presences and absences, the book explores the extent to which the influences are similar or different in the two countries, contrasting how journalists’ communication power conditions public thought on climate change. The investigation of climate communication across the North-South divide is especially urgent given the global commitment to reduce greenhouse gas emissions and it is critical we gain a fuller understanding of the dynamics of climate communication in low-emitting, low-income countries as much as in the high emitters, high-income countries. This book contributes to this understanding and highlights the value of a dual analysis in being ably draw out parallels, as well as divergences, which will directly assist in developing cross-national strategies to help address the mounting challenge of climate change. This book will be of great interest to students and scholars of climate change and environmental journalism, as well as media and communication studies more broadly. "Western commentators tend to ignore the impact of global warming on ‘developing’ nations. Jahnnabi Das’ study of the similarities and differences between Bangladeshi and Australian newspaper reporting of climate change might embarrass them. A pioneering and unexpected contribution to the global debate." -- Philip Bell, Emeritus Professor, UNSW, Australia. "Reporting Climate Change in the Global North and South is a focused and informed examination of the similarities and differences in climate change communication between two vastly dissimilar countries. It is a theoretically informed analysis of how print media in Australia and Bangladesh deal with the vital question of climate change. This book intelligently traces elements of political cosmopolitanism emanating from two discursive positions - economic rationality and ecological vulnerability. This skillfully presented book is a valuable contribution to the comparative communication studies." -- Leslie Sklair, Emeritus Professor, London School of Economics, UK. Jahnnabi Das is a Research Associate in the Climate Justice Research Centre at the University of Technology Sydney, Australia.